Great Deal at Texas Corral for Michigan & Indiana Readers! If you live in Michigan or Indiana, check out this great deal at Texas Corral. 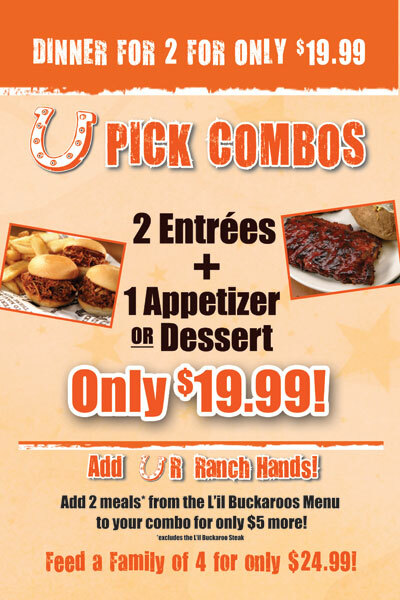 Buy four meals (including two kids’ meals) and an appetizer or dessert for $24.99! Texas Corral serves large portions, so you may even have leftovers to eat the next day!